Can quota category candidates, selected on merit, have service preference? New Delhi: A five-judge Constitution Bench of the Supreme Court will consider whether candidates in a ‘reserved category’ selected on merit and placed in the ‘unreserved category’ in the Central Civil Services Examination could be given a choice to opt for service of higher preference in terms of Rule 16 (2) of the CSE Rules at the time of ‘service allocation’. The Centre appealed against a Madras High Court judgment holding ultra vires and unconstitutional Rule 16 (2) and directing it rework service allocation dehors Rule 16 (2). Certain writ petitions were also filed. The Supreme Court stayed the High Court judgment and on Thursday referred the matter to a larger Bench. However, the question whether reserved category candidates could actually avail themselves of better preference of service under the reserved category list or not could be decided only by a Constitution Bench. CHENNAI: The Madras High Court has ruled that the 5-year integrated M.Ch. (neurosurgery) course be treated as a superspecialty course and admission be made based only on merit without following the rule of reservation. A division bench comprising Justices P.Jyothimani and Aruna Jagadeesan gave the ruling while disposing of two writ appeals and a writ petition. The Bench made it clear that for admission to the course the qualification shall not be undergraduation in medicine and any admission made for 2009-10 contrary to the above said ruling shall stand set aside. The writ appeals from Dr.N.Bharath and Dr.S.Deebalakshmi sought to quash a single judge order passed in May 2007, which had held that there was no unreasonableness in the roster system sought to be introduced by a Government Order. The writ petition sought to declare Clause 54(b) and annexure relating to the superspeciality 5-year course in M.Ch. 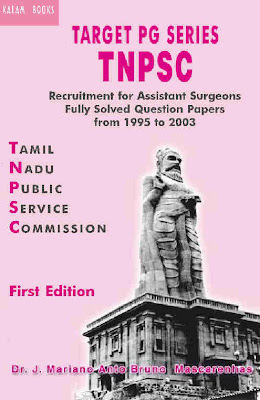 (neurosurgery) under the prospectus for admission to post-graduate course for 2009-10 as invalid in so far as it provides for reservation in category of superspeciality post graduate medical course and reservation by roster as contrary to Article 15 of the Constitution. He also submitted that it was also against the judgment of the Supreme Court and the provisions of Tamil Nadu Act 45 of 1994 relating to reservation to admissions. Petitioner, K.G.Arun Raj also prayed for a direction against the respondents to fill up seats from and out of service candidates as per the merit list and grant admission to him. The judges in their order said that the roster system is not application for admission to educational institutions as Section 4 of the Act of 45 of 1994 contemplates admission on an annual basis. They also set aside Clause 8 of the prospectus/General instruction to candidates issued by the respondents for 2007-08 denying reservation in case the seats are lesser than eight. New Delhi: The Supreme Court on Thursday directed the Nizam’s Institute of Medical Sciences (NIMS), Hyderabad, to pay Rs.1 crore as compensation towards medical negligence to a computer engineer, who became a paraplegic after he underwent a surgery at the hospital in 1990. A Bench consisting of Justices B.N. Agrawal, H.S. Bedi and G.S. Singhvi awarded this compensation to Prashanth S. Dhanaka. The Bench was moved by his plight as he himself argued the case sitting in a wheelchair. He sought a huge amount as compensation from the hospital against Rs.15.5 lakh awarded by the National Consumer Disputes Redressal Commission. While the hospital filed an appeal against this order, he filed an appeal for enhancement of compensation. The Bench, while calculating the compensation, took into consideration the emotional and physical trauma he underwent, loss of marriage, his brilliant academic career, his future income and the medical expenditure he would incur throughout his life. The court, while directing the hospital to pay Rs.1 crore as compensation, said the amount should be paid with six per cent interest from 1999, when the National Commission gave the award. According to Mr. Dhanaka, he went to the hospital in September 1990 for a check-up as he was suffering from on and off fever for one year. On examination, it was noticed that he had a large mass in his left hemithorax (chest cavity). A surgery was performed and the tumour was removed. But, post-surgery he became a paraplegic — paralysis of the lower limbs of the body. Then he moved the Commission which awarded only Rs. 15.5 lakh. The complainant’s main charge was that the tumour being a neurogenic one, the surgery should have been handled by a neurosurgeon. The surgery completely disturbed the nervous system, making him paraplegic. The hospital contended that the Commission had erroneously held that it was negligent in not performing its statutory duties to interact and exchange opinion with sister-institutes in India and abroad and also failed to seek the assistance of a neurosurgeon. The complainant’s claim was not supported by any material and the Commission had considered irrelevant factors in awarding the compensation. It sought quashing of the Commission’s order.